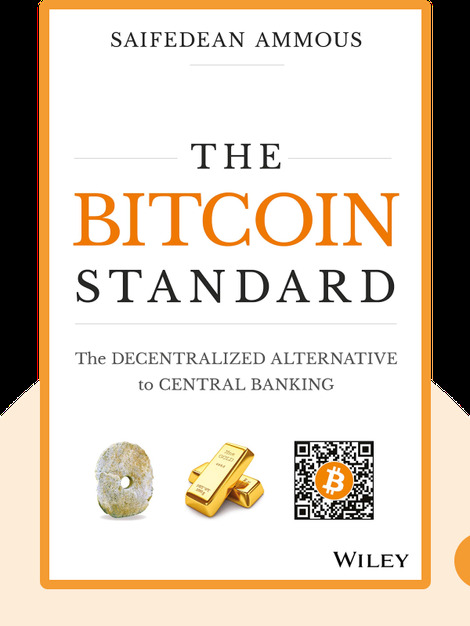 The Bitcoin Standard (2018) traces the story of money, from the very first rock currencies to the Victorians’ love affair with gold and today’s new kid on the block – digital cryptocurrency. Saifedean Ammous, an economist convinced that we need to embrace the forgotten virtues of sound money, believes Bitcoin might just be the future. Like yesteryear’s gold reserves, it has unique properties that mean it’s ideally placed to act as a medium of exchange that can’t be manipulated by bumbling governments. And that’s great news if we want to return our economies to stability and growth and put the cycle of boom and bust behind us. Saifedean Ammous, a former member of the Center on Capitalism and Society at New York’s Columbia University, is an economist based at the Adnan Kassar School of Business in Lebanon. 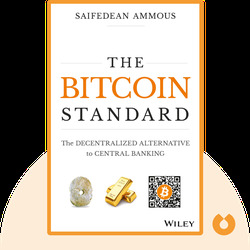 © Saifedean Ammous: The Bitcoin Standard copyright 2018, John Wiley & Sons Inc. Used by permission of John Wiley & Sons Inc. and shall not be made available to any unauthorized third parties.